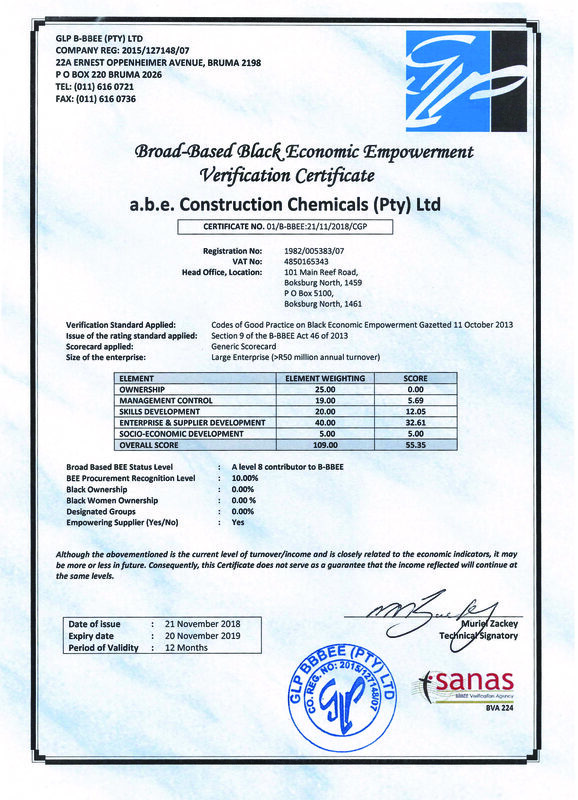 a.b.e.® Construction Chemicals‘ range of waterproofing products and systems include specialised bituminous sheets, liquids, putties, cementitious based products and silanes. Bituminous sheet products are used to waterproof flat roofs, basement walls and to line earth dams and canals. Liquid systems and putties including acrylics, solvent-based bitumens and water-based rubberized acrylic modified bitumens which are used to seal parapet walls, small flat roofs, roof bolts, flashings and ponds. Cementitious slurry products are used to waterproof basements, foundations, tunnels, retaining walls, brickwalls and other underground structures. The silane systems are used to prevent water penetration of brick and natural stone. I opt in to receive further communication from a.b.e.